You've pieced your patchwork, now what? Don't just slap on a border and binding and call it done...take time to continue the creative process, and do it right! 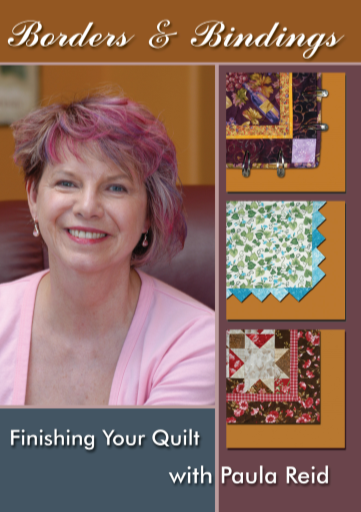 Learn the proper techniques and different styles for bordering your quilt. Paula will teach you the best methods for achieving a square quilt that's "bound" to turn heads! She walks you through border options - including a crumb-catcher - binding techniques - including prairie points - hanging sleeve construction, and more. This DVD is viewable on both a DVD player and a computer.